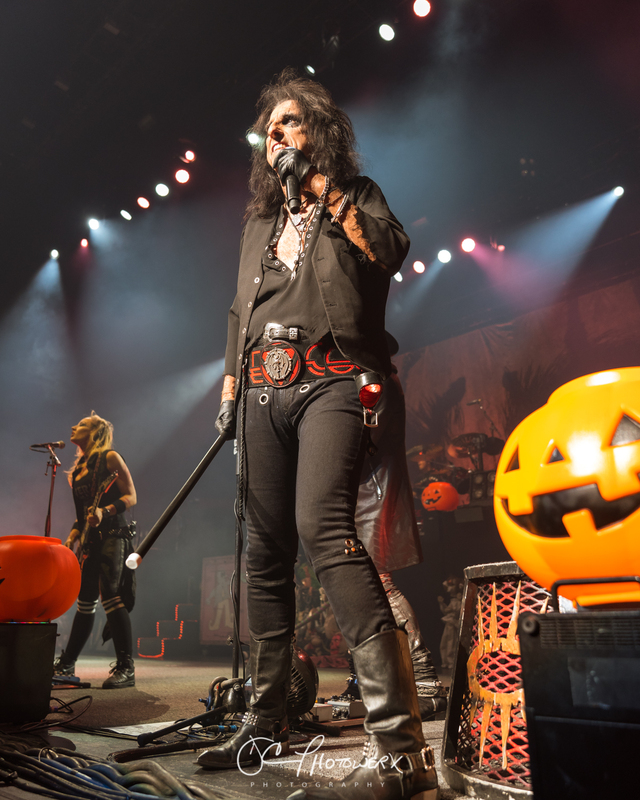 How does a 70-year-old master showman make an entrance? In a cloud of smoke, and a shower of sparks, of course! 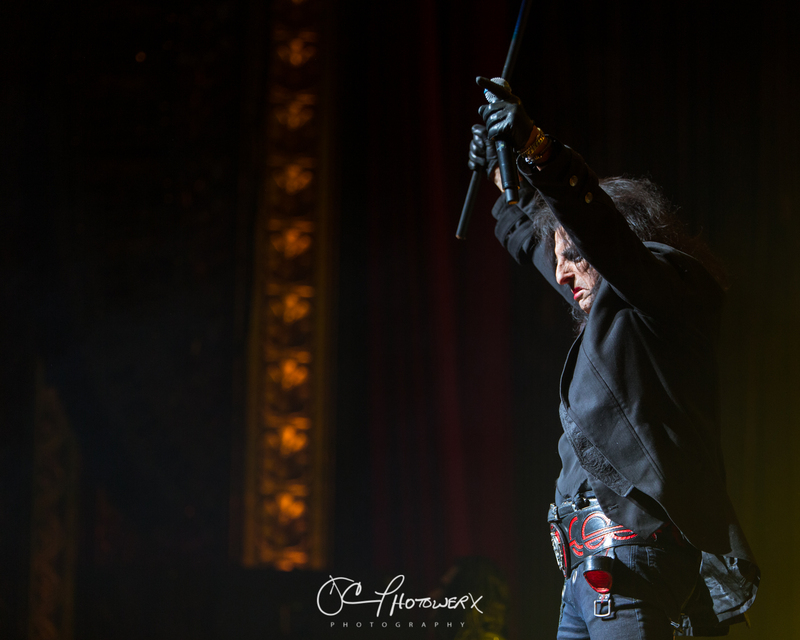 The man born as Vincent Damon Furnier has been shocking audiences since the 70’s and continues to do so in 2018. 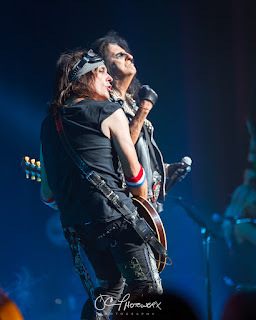 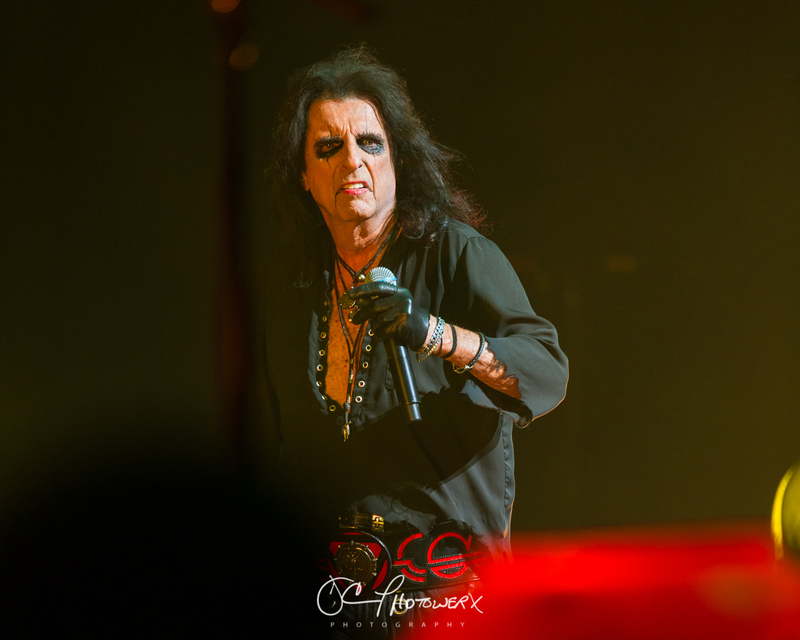 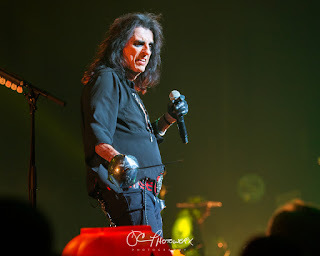 New fans were in for a treat, old fans knew what to expect, but everyone was there for the spectacle of Alice Cooper. 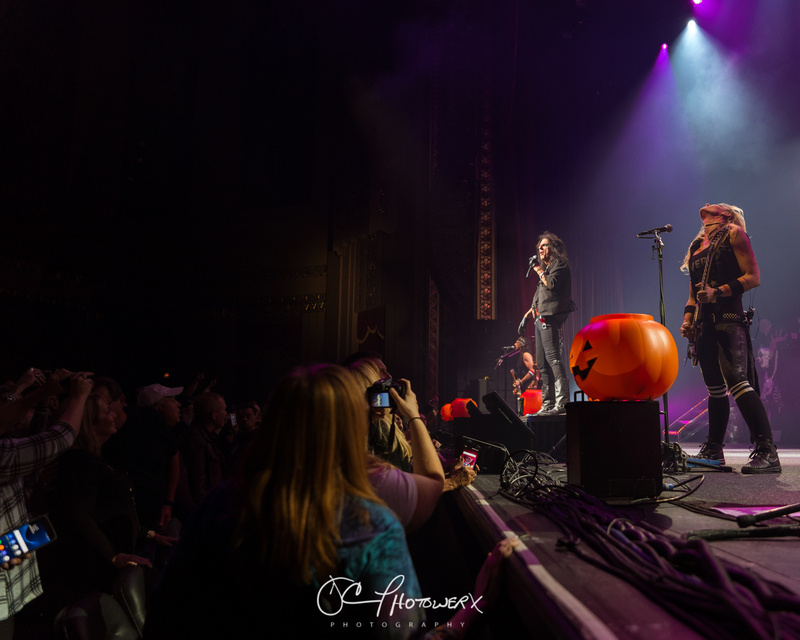 Revving everyone up for a rapidly approaching Halloween, Cooper brought his A Paranormal Evening Tour to a delighted Stifel Theater! 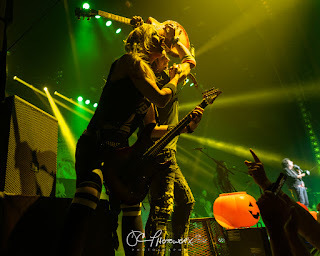 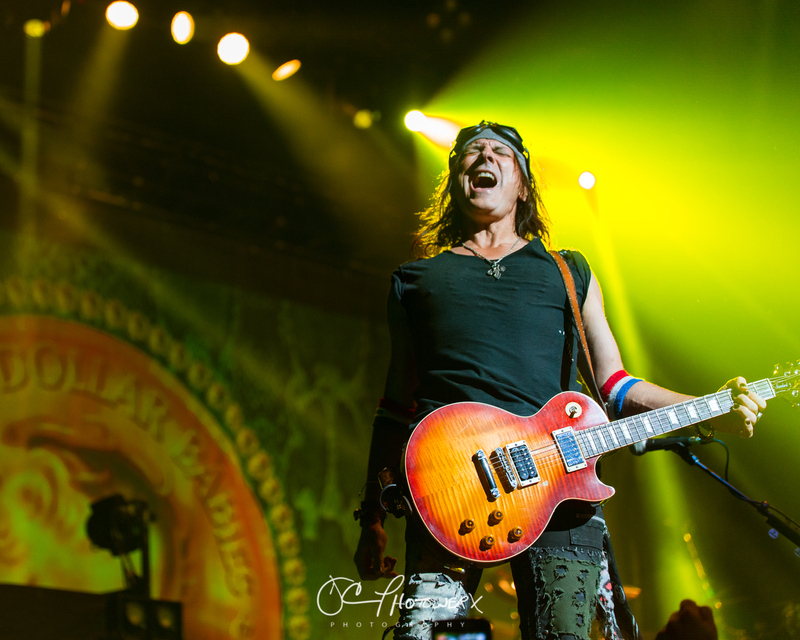 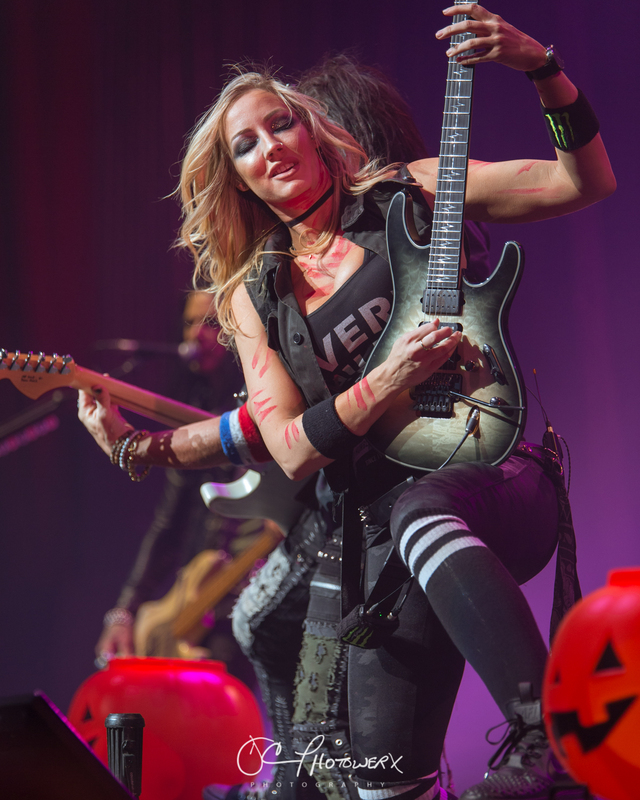 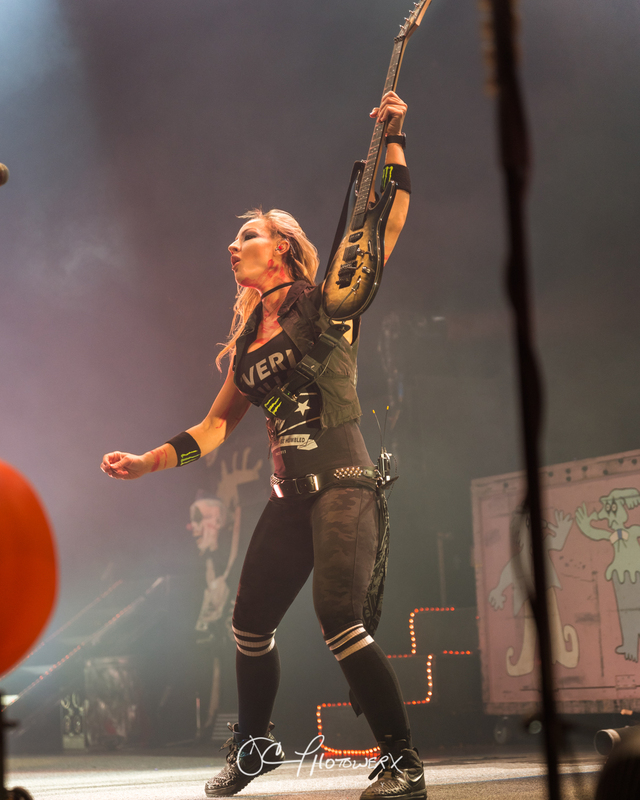 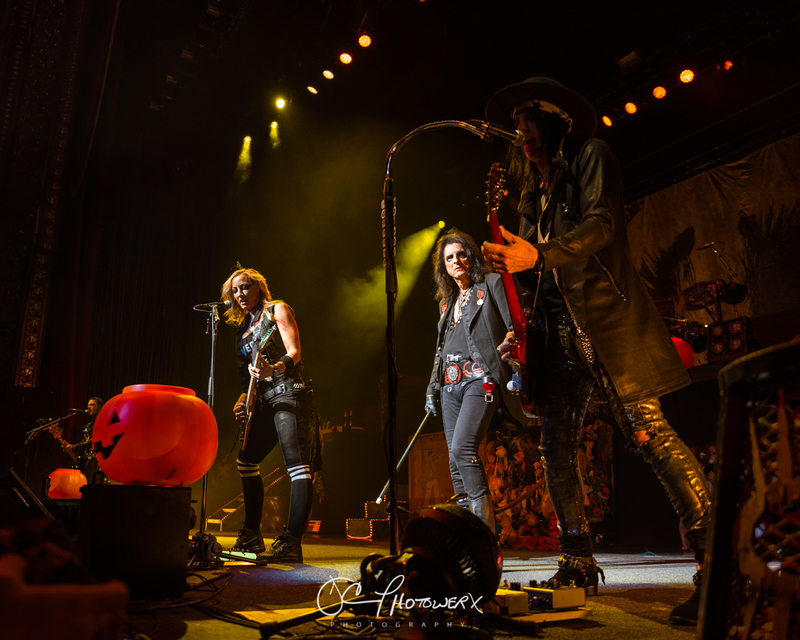 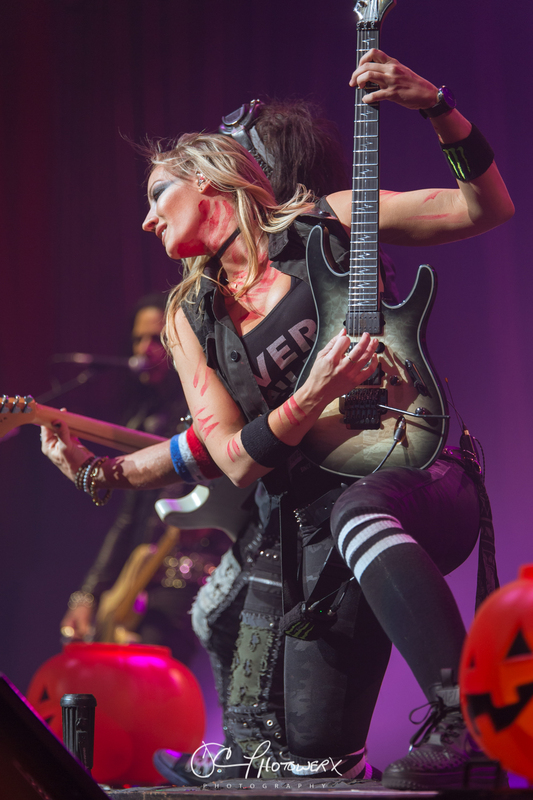 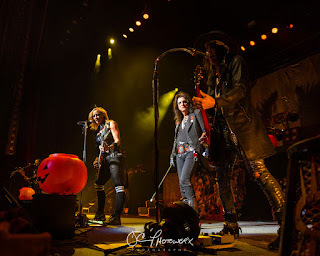 Alice hits the front stage riser promptly at 8:15 PM with a backing band that can’t be touched: Nita Strauss (guitar), Ryan Roxie (guitar), Tommy Henricksen (guitar), Glen Sobel (drums), and Chuck Garric (bass). It should come as no surprise that this master of the macabre would have a band of this caliber. The eerie thump of “Brutal Planet” opens the show, followed closely by the time-tested hit, “No More Mr. Nice Guy”. 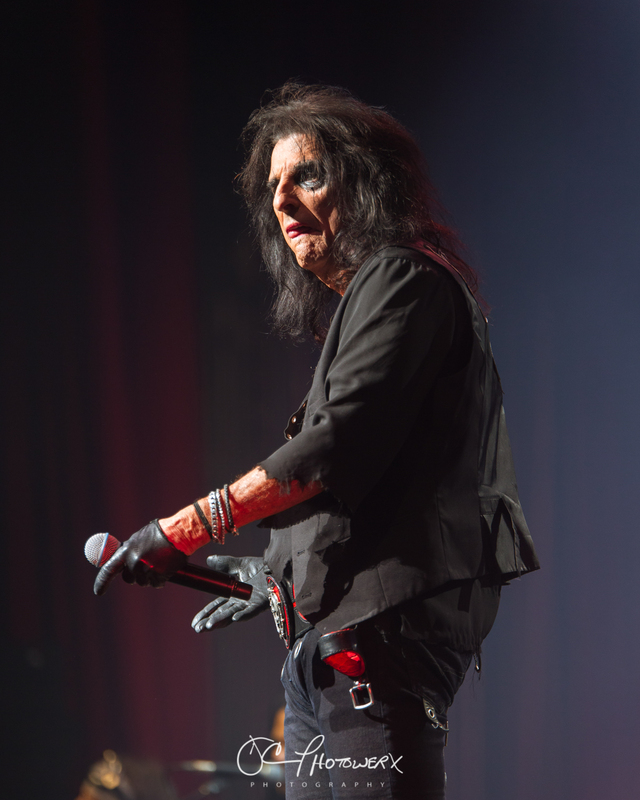 As if on auto-pilot, the Cooper persona performs a flawless version of “Under My Wheels”. 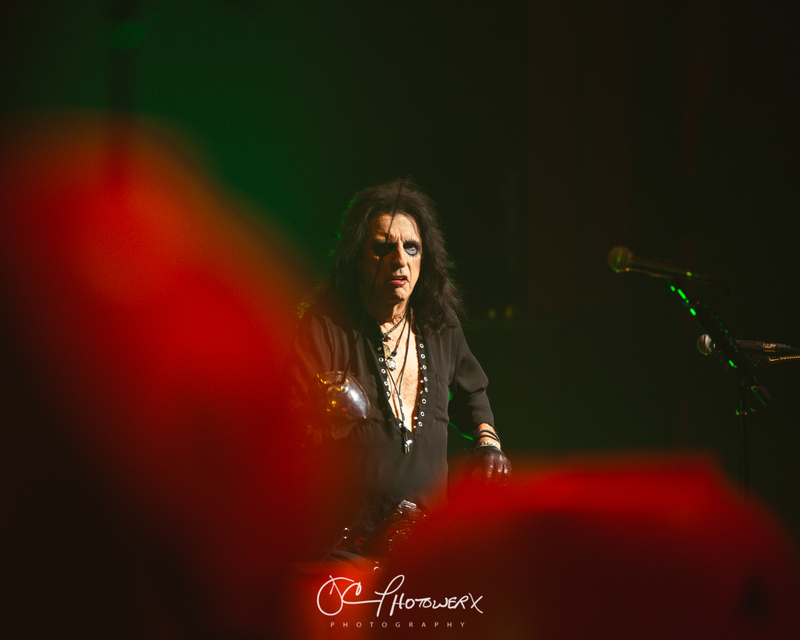 Some artists are very good at working an audience, but Alice is a master. At times it feels like his gaze cuts right through you. 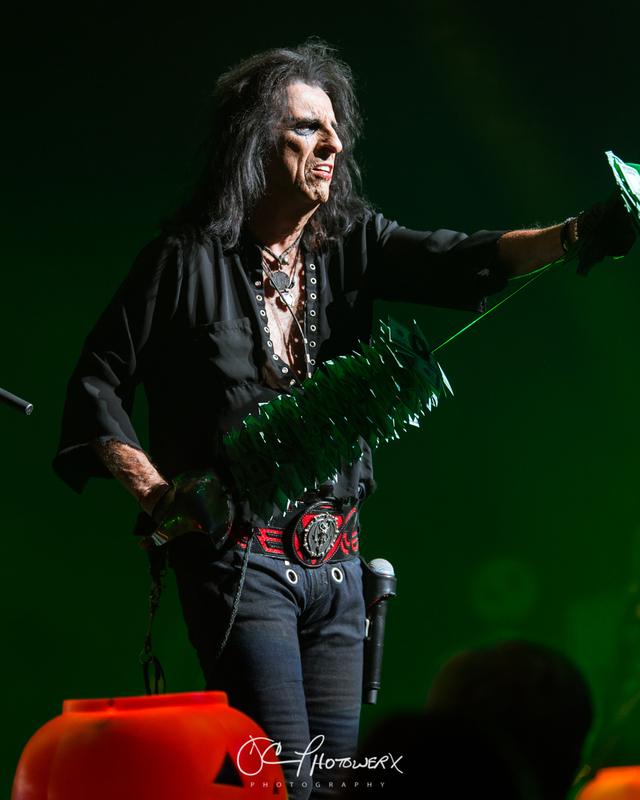 In fact, during “Billion Dollar Babies”, a sword-wielding Cooper made eye contact with me and just for a moment I thought I might get sliced! 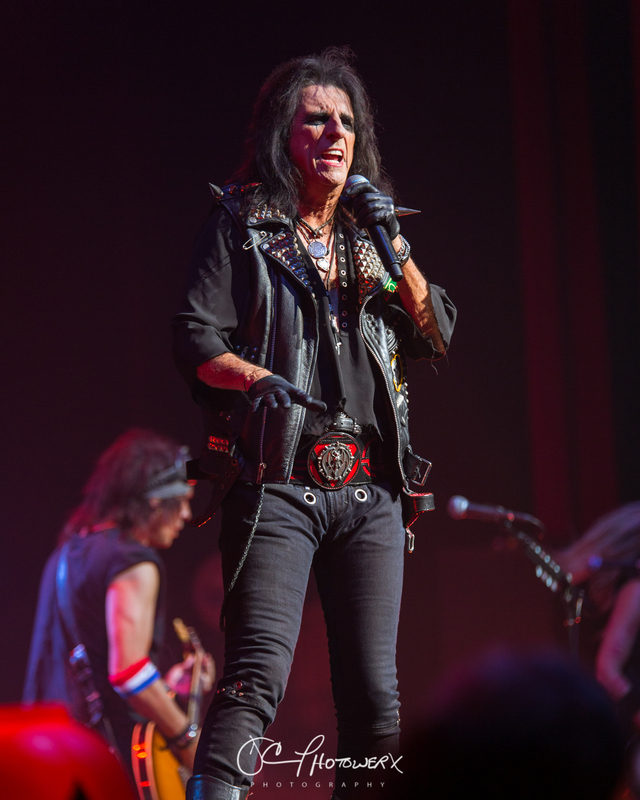 The Alice Cooper show has not changed much since I saw him first in 1989. 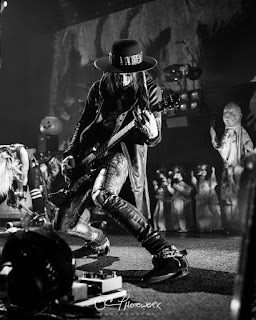 But why change something that works? 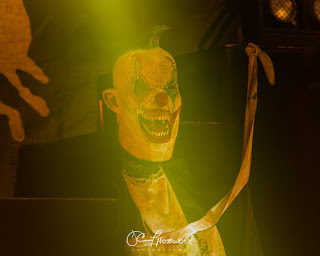 Be it creepy dolls, a giant Frankenstein, or a beheading by guillotine, Cooper touches our darkest fears. Cooper’s setlist is a full trick bag of his 50+ year career. 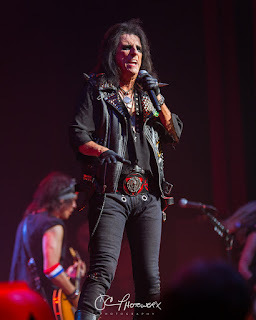 Diehard fans knew all the words to his lesser known songs from albums like Dirty Diamonds and The Eyes of Alice Cooper. 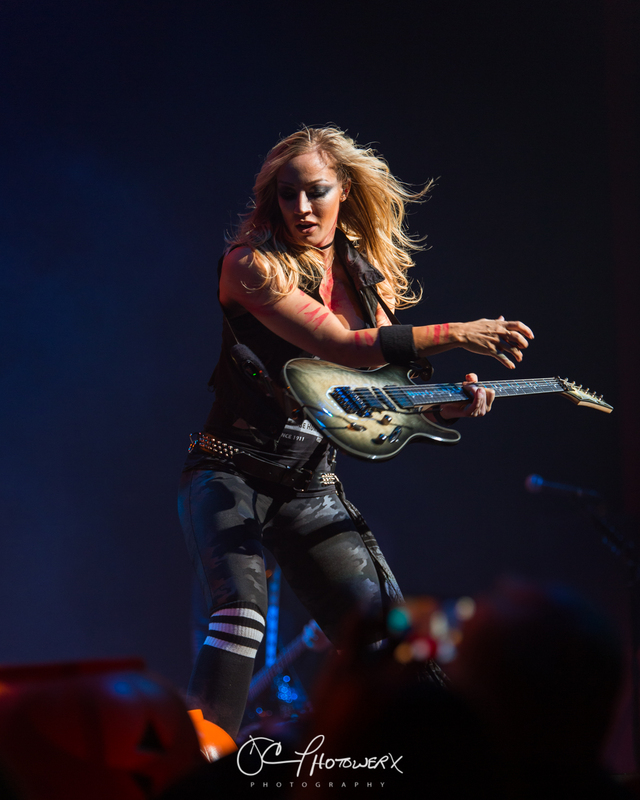 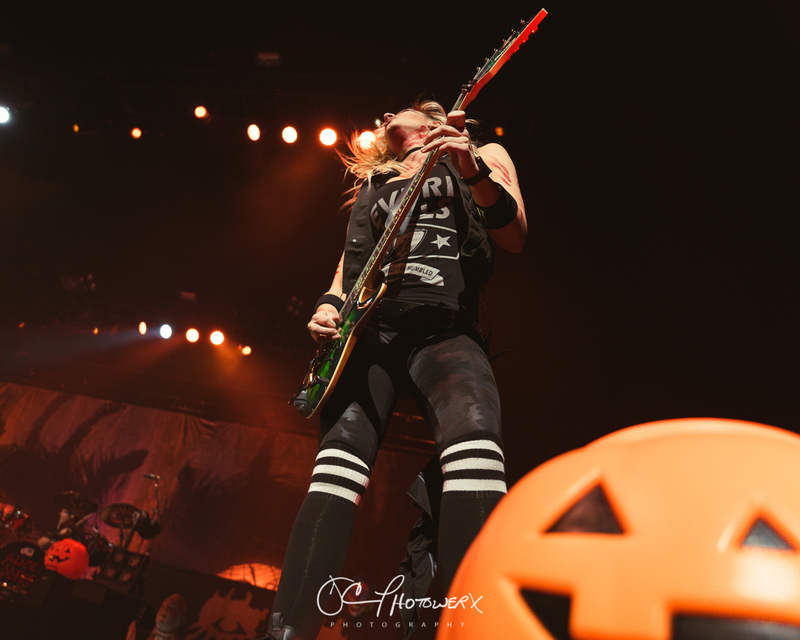 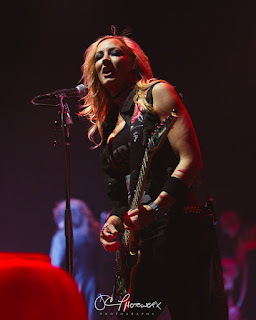 Nita Strauss’s guitar talents are briefly showcased in a solo before the hit “Poison”. Glen Sobel, Cooper’s drummer since 2011, does a light-timed drum solo that is as visually appealing, as it is sonically. Getting somewhat intimate, Alice sits atop an upside-down trash can as he sings “Only Women Bleed”. 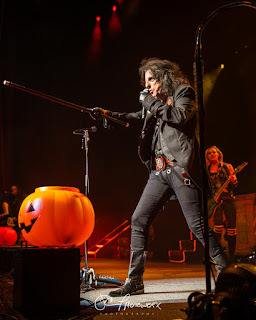 One of my personal favorites, “The Ballad of Dwight Fry”, finds Cooper in a straight jacket while a crazed nurse is injecting him with a giant syringe. The main set closes with the volume on blast for his teenage angst anthem, “I’m Eighteen”. An audience that has not sat for an hour and a half, will certainly not let Cooper leave without an encore. 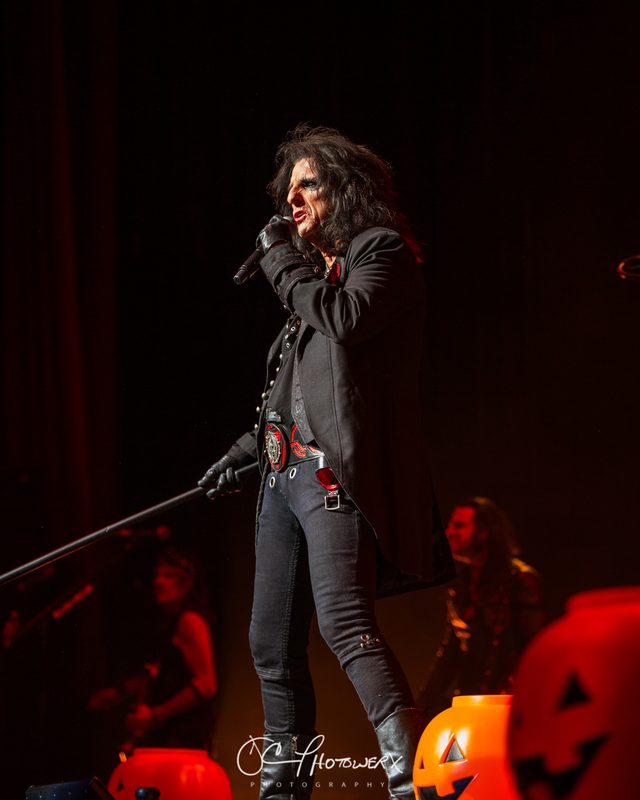 Obliging the nearly capacity audience, he returns in a white tailcoat, complete with a St. Louis Blues logo and top hat, performing “Schools Out”! 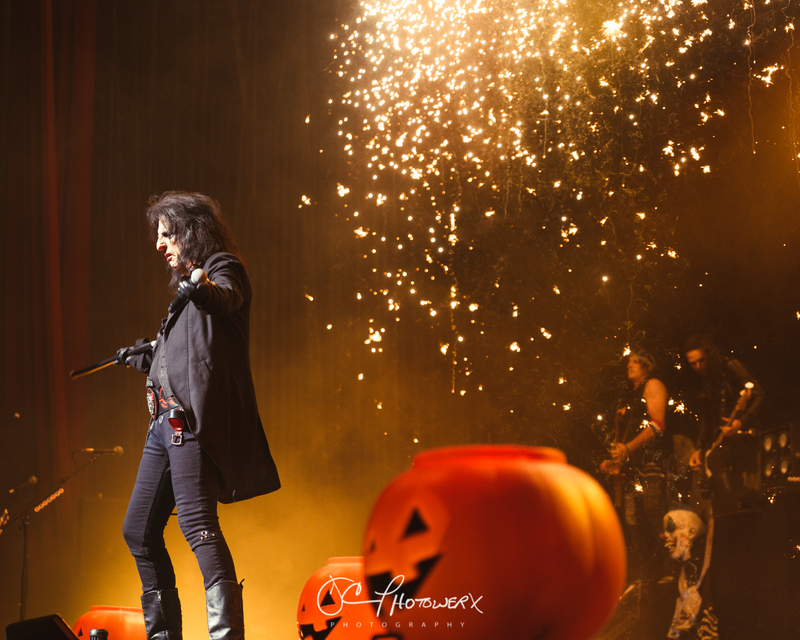 The grand spectacle of an Alice Cooper show would end as it began, in a cloud of smoke and a shower of sparks! 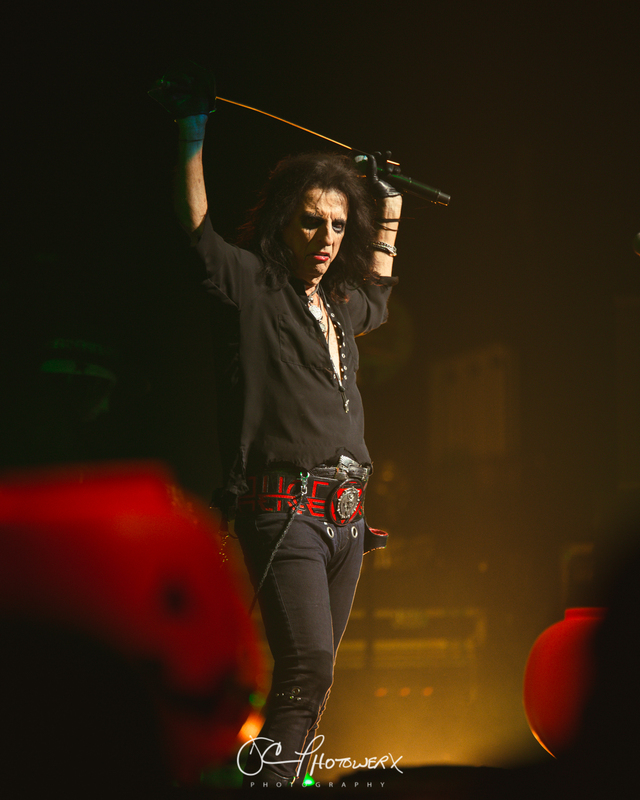 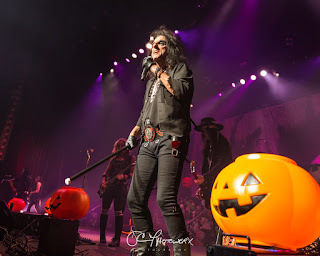 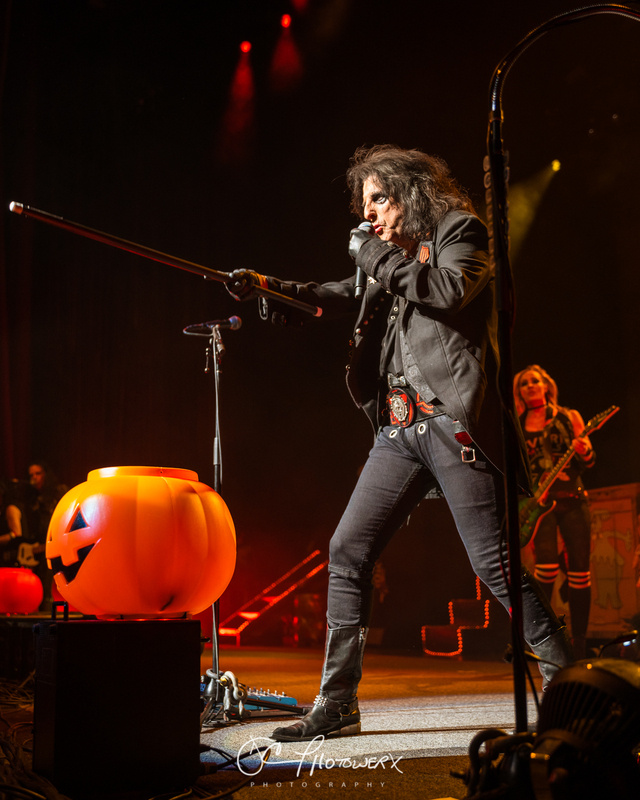 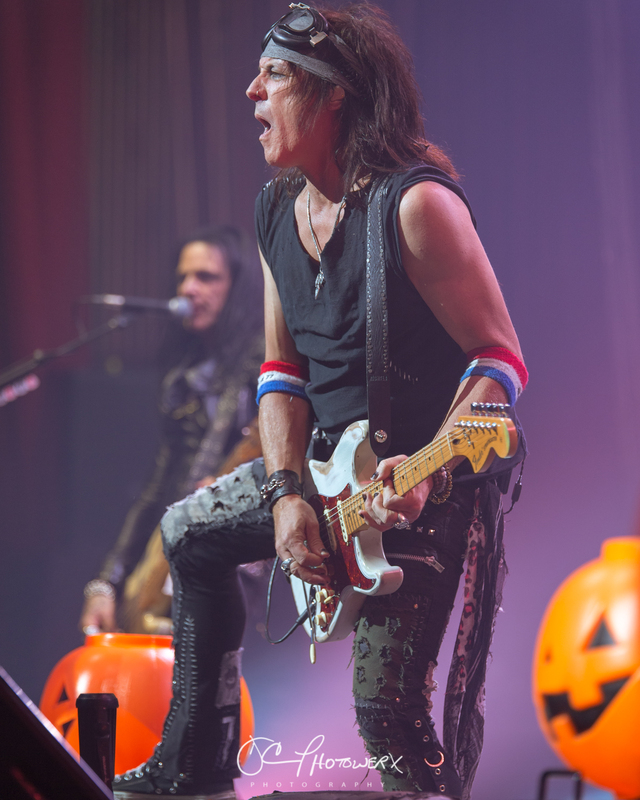 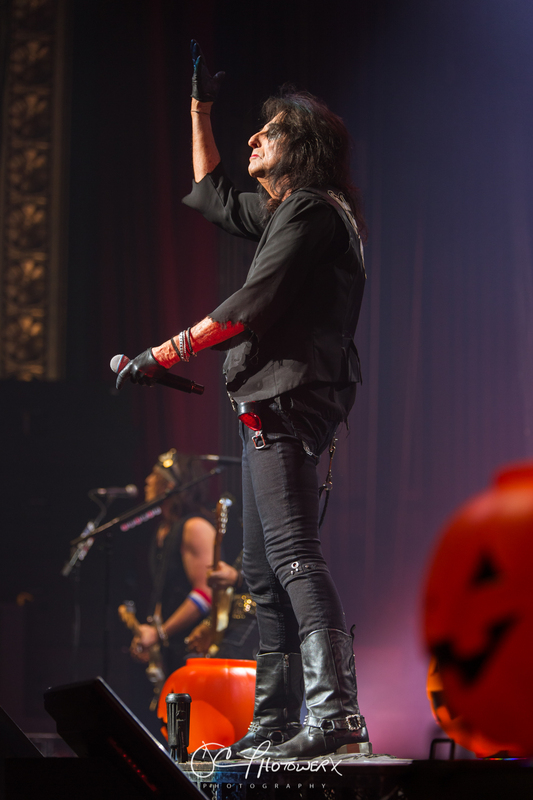 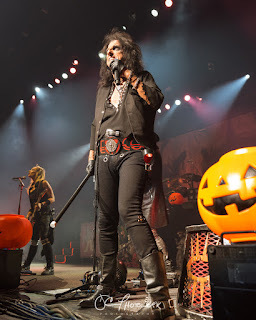 Thanks to Alice Cooper’s management and The Stifel Theater for allowing MTC MAG to cover this epic event!